The "Tea Time" fragrance has notes of basil, lemon, and tealeaves. This delicate fragrance will remind you to stop and allow yourself a moment of reflection. 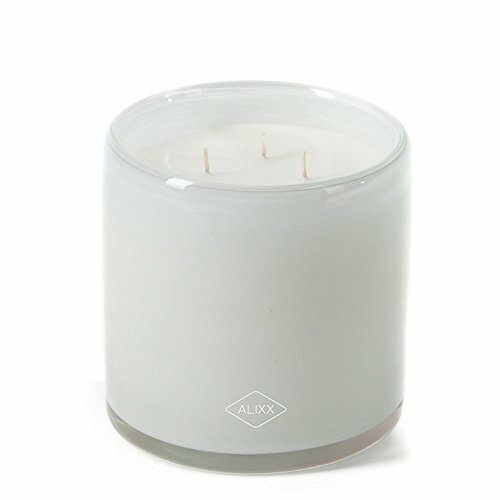 The lemon combines with lily of the valley and a touch of delicate wood. This glass vase candle is a 3 wick candle and burns for 200 hours. The artisan glass is fresh white. Born in France. Handmade in the USA. If you have any questions about this product by Alixx, contact us by completing and submitting the form below. If you are looking for a specif part number, please include it with your message.